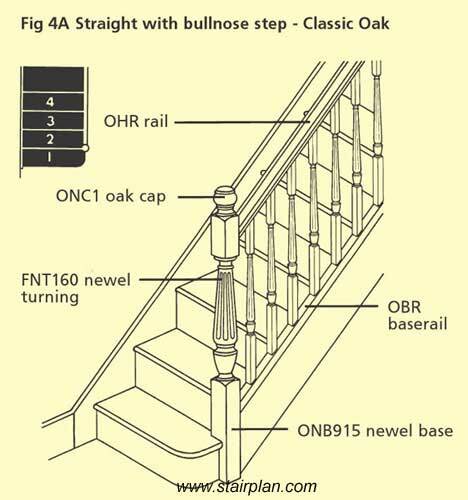 Daigram drawings to assist in knowing the parts required in a stair renovation project. Here is a corner landing detail with a post and the continuous handrail system. The HC horizontal cap is connected to the straight handrails with Handrail Bolts. Here you can see the Classic Oak handrail system at the entry of a staircase, the bottom step detail shown is a Bullnose step, a Bullnose step is recommended at the entry of a staircase for structural and asthetic reasons. 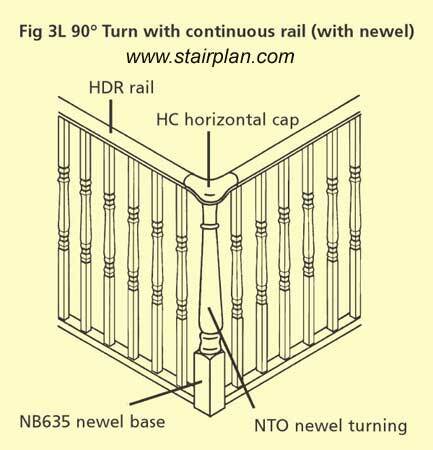 Here you have a quarter landing turn with the conventional NT415 newel turning and Post to Post handrail detail. 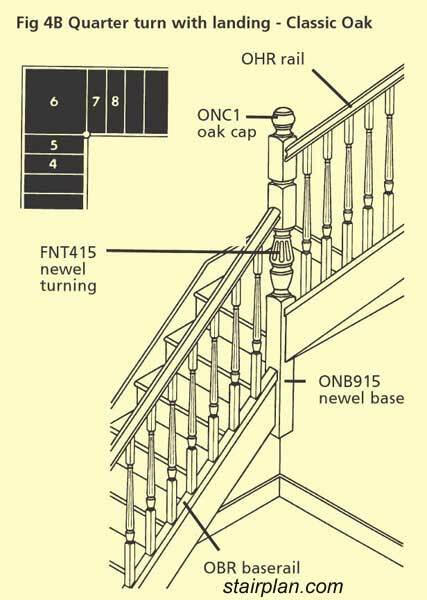 If you require the landing balustrade to be 1100mm high as in light commercail handrail installations then you would use a NT415 double stock newel post at the top of the staircase as shown above. 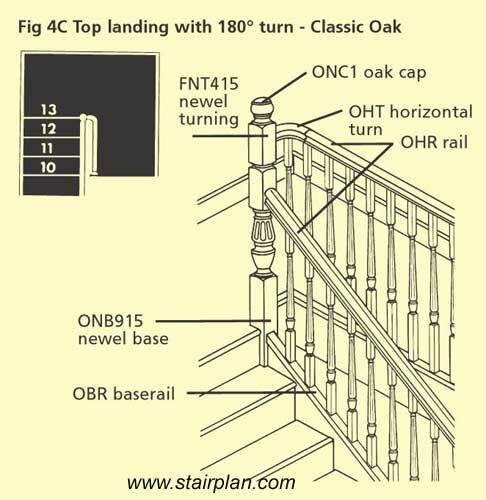 The Classic Oak handrail system is tested to 0.74kn for use in non domestic handrail installations.